Ready to register? These are the little-known wedding registry tips that will make the process easier and totally fun. Once the excitement of your engagement starts to die down a bit, but before the wedding planning begins in full force, your mind will probably turn to your wedding registry—so it’s important to pick up some wedding registry tips before you start. Whether you’ve been dying to wield that little scanner since you were eight, or you’re only doing it for your mom’s sake, creating a wedding registry is equal parts fun and burdensome. Or at least, it can be. How do you know what to add? Is it okay to register for that? How many do you need? 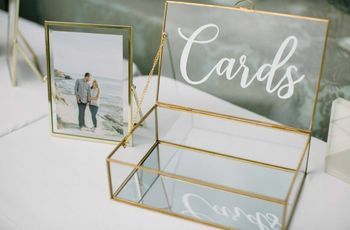 While those may be questions only you can answer, we’re here to fill you in on some insider wedding registry tips and secrets you can consult when it comes time to register for your wedding. It’s okay to register for top-dollar items. 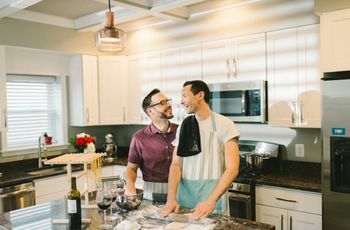 If you and your soon-to-be spouse have been living together for a while, you may have just about everything you need to keep your household up and running. But maybe you’ve been eyeballing that luxurious king bed that’s out of your price range, or maybe your living room needs a modern refresh a la Joanna Gaines. You may be wondering if you can register for top-dollar items, and the answer is yes! While none of your guests may be able to gift you with a sofa on their own, some may opt to band together and give you a large gift as a group. This is a great option for bridesmaids, who may be strapped for cash after participating in your wedding. You can register for anything…literally. Gone are the days of wedding registries consisting of little more than fine china, place settings and towels. Today’s couples are registering for everything from canoes to Nerf guns, and even new cars and homes! While admittedly a new home may seem a bit extreme, remember that your registry should speak to your unique personalities as a couple; if you’re more at home drinking from a canteen while chilling under the stars in a tent, go hit up a store that specializes in camping equipment and outdoor gear! There’s no need to register for fine china that’ll just collect dust over the years. Keep different registries in one place. In keeping with the above wedding registry tip, there’s no need to limit yourself to just one or two stores when it comes time to register for wedding gifts. In fact, the more the better! 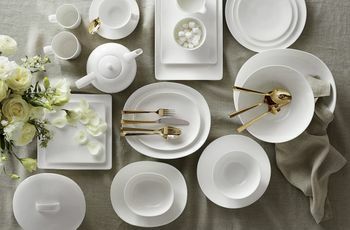 It’s a great idea to keep a pretty extensive registry so your guests will have lots to choose from. How to avoid schlepping from store to store all over town in your spare time? Keep a universal gift registry using Wedding Wire’s online registry. There’s no limit to how many stores you register at, and it’s all centrally located on one registry that you (and your guests, of course!) can easily access, update, and track. So whether you’re registering for plates or a TV, or even a llama (just kidding! ), it’s all there in one place. How’s that for easy? Don’t register for more than you can store. Trust us, we know how easy it is to get a little crazy with the scanning device when it comes time to register for your wedding. But one of the top wedding registry tips many couples overlook is being aware of how much space they have. If you’re living in an apartment or condo, or even a small starter home, you don’t want to register for three complete sets of pots and pans or eight different sets of sheets because you won’t have anywhere to store it. And even high-quality clutter is still clutter, right? 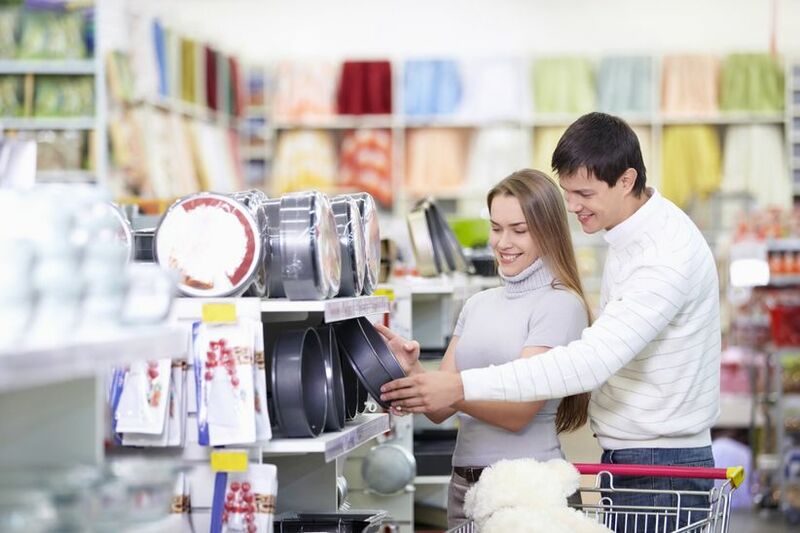 So think about your living space before you hit the stores (or the online registry), and curate a list of items you and your future spouse will love and cherish—and have room for— for years to come. Register as soon as you get engaged. That’s right; there’s no need to wait until your shower or the month before your wedding to start your registry. 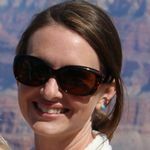 It’s something you can work on right away, which is great because it’s a super exciting part of your engagement period. Registering for wedding gifts doesn’t have to be burdensome; it should be a fun way for you and your future spouse to decide together which items your friends and loved ones could gift you if they choose. Registering early gives your guests ample time to select a gift (or gifts! ), and it allows you to plan ahead and ensure your registry only contains items you truly want, instead of feeling thrown together last minute. In addition, remember that some guests, especially close friends and family, will give an engagement gift, a bridal shower gift and a wedding gift! So, if you choose to register early, just be sure to update your registry regularly in case things go out of stock or guests start snapping up items left and right. Remember, you can’t take a set-it-and-forget-it approach to your wedding registry.